Originally used in the Canadian Air Force in the 1950's. 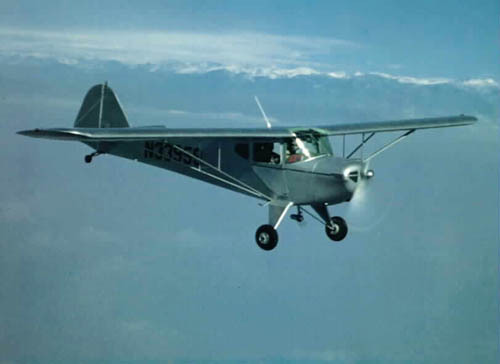 It was powered by a DeHavilland Gipsy Major engine of 145 horsepower.� The Auster 6 featured externally hinged "Junkers style" flaps, greatly enlarged window area, side by side control sticks, and up to three seats. The flap handle is a manual torsion bar above the pilot's left shoulder.� This aircraft actually has a smaller (civilian version) rear canopy than the stock military Mark 6. The last WW2 Auster version.� Note the full military rear top and side canopy that is a foot longer than the previous civilainized Mark. 6.� The Mark 5 auster had split trailing edge flaps, a 130 horsepower O-290-3 Lycoming engine, and a placarded stall speed of 24 knots. The information below is paraphrased from "The History of the Auster Aeroplane" book by Ambrose Hitchman of the Auster Club in England. "The first British T-craft was basically an exported prewar model A (G-AFJW). 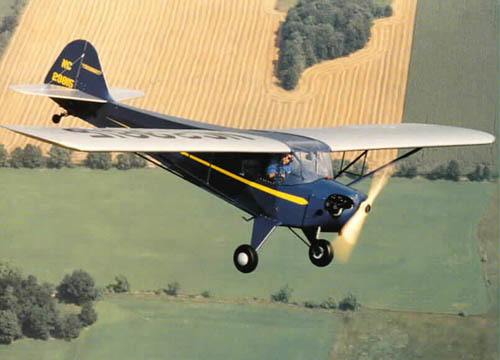 In 1938, Lance Wykes, the driving force behind the Auster, bought a license to build the Taylorcraft Model A, and later the Model B. 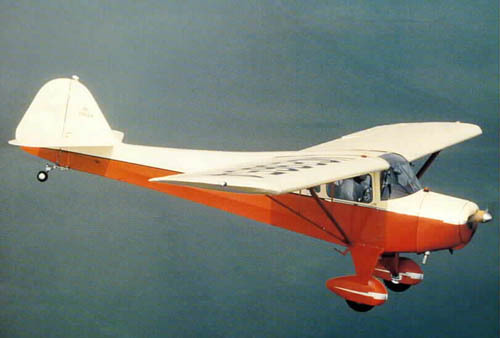 These British aircraft were called the "British Taylorcraft Plus C", and differed from the US versions by having heavier tubing and larger wing spars. The "Plus C" had the Lycoming O-145-A2 55 horsepower engine.� This made it basically a heavier BL-55. 23 of them were built before the war. The 55 horsepower engine was insufficient, and so the English Blackburn Cirrus Minor 90 horsepower engine was fitted to later models. One of these upgraded versions was tested for air observation for the military, and was found to be the best of the available options. 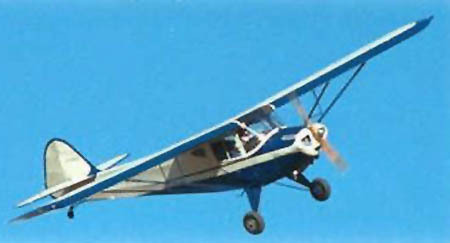 Larger windows, heavier landing gear, better brakes, and stick controls were incorporated to become the Taylorcraft "Plus D", which was delivered to the British Army as the Auster 1.� The Cirrus engine was still not enough for the military use, and a 125 horsepower Lycoming was installed in one prototype, making it the Auster Mk 2. The shipping lanes were not yet secure, so the Auster factory decided to upgrade the Auster 1 with the locally available DeHavilland� Gipsy engine of 130 to 145 horsepower. 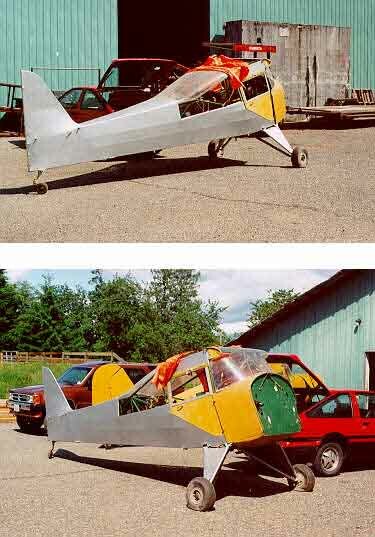 The fuselage was further modified by the installation of a clear "greenhouse" of transparent panels on the top and sides to well past the wing trailing edge. 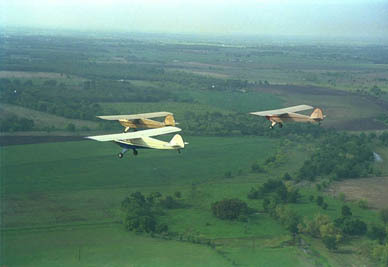 The wings were modified to have split flaps installed. 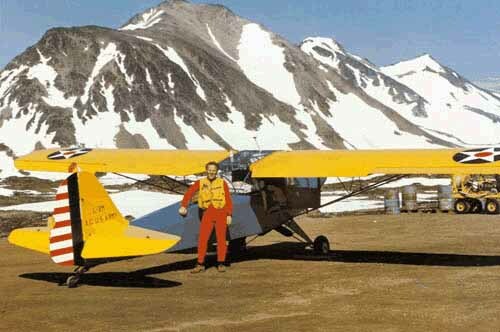 This became the Auster mk 3,� which went into service in 1943.� When the availability of American engines was guaranteed, the Auster was further modified. The top longerons were angled aft of the wing, and� a blown rear canopy was installed, providing direct rearward visibility. 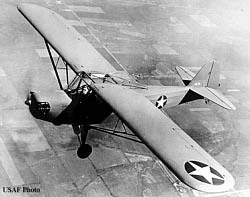 This yielded a stronger aircraft (Austers were certified for limited aerobatics in England), but they were often TWICE as heavy as their American counterparts. 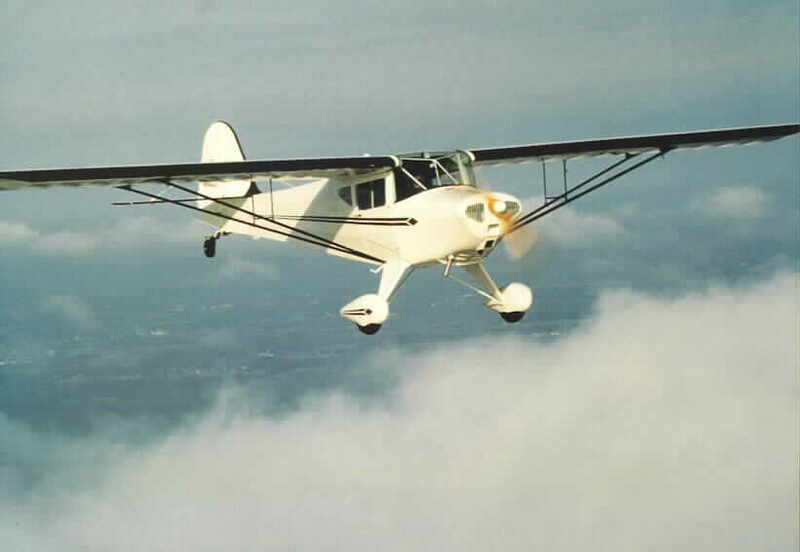 Later versions of the Auster were powered by Lycoming O-320 and O-360 engines, making a fantastic airplane overall, comparable to early Maules and surpassing Super Cubs. 3868 British Austers were built, about 1/3 of the number built in America. Taylorcraft in the College Park Airport, Maryland Museum. It's a nice display. Kids can climb right up inside and play with the controls, etc.